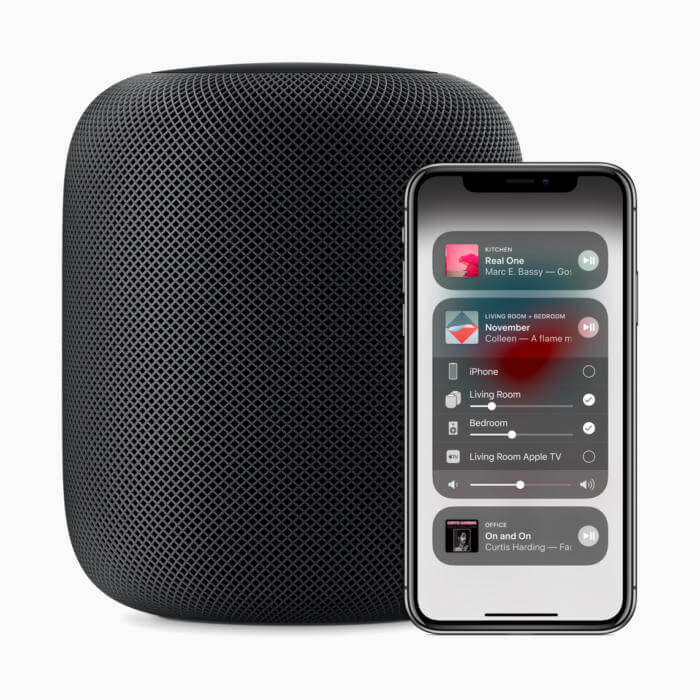 When Apple's HomePod launched earlier this year, most early reviews lauded the excellent sound quality and ease of setup but slammed it for its lack of Android compatibility and Siri's ineptitude. Additionally, AirPlay 2 was not yet out so multi-room support and stereo HomePod pairing was out of the question...until now. Apple has finally rolled out AirPlay 2 with the iOS 11.4 update and adds a couple of extra features as well. AirPlay 2 finally allows iOS devices to stream music to multiple AirPlay devices. This functionality was previously limited to just Macs. In addition to multi-room support and stereo HomePod pairing, AirPlay 2 also increases the network buffer so that songs aren't interrupted during network blips. Speaking of interruptions, AirPlay 2 also allows music to continue streaming even if you receive a call or consume other media on your phone like video or games. As far as improvements with Siri on the HomePod, Apple is adding calendar support. You can ask Siri about your meetings, other calendar events, and add things to your calendar. It will also work with any calendar you add to the Calendar app on iOS. Unfortunately, this is linked to the HomePod's personal request feature so anybody can simply walk up to your HomePod and modify your calendar. Apple still has not enabled individual voice recognition on the HomePod to prevent other users from accessing your personal data. On a positive note, you can move music around to different HomePod speakers by just simply asking Siri to move it whatever room you want. A number of third party companies have announced AirPlay 2 support including Bose, Pioneer, Sonos, Bang & Olufsen, and Bowers & Wilkins. There's a pretty big catch, however. Most smart speakers are able to connect to music streaming services by themselves since they're connected to the internet. AirPlay requires your iOS device to essentially act as the hub of streaming with the device connecting to the music service instead of the speaker. The iOS 11.4 update also brings another massive update, Messages in iCloud. This feature was announced at WWDC 2017 but is only just now being released. Basically, Messages in iCloud stores all of your messages (including SMS) in iCloud. If you delete a message on one device, it deletes it on all your devices. Because Messages stores your entire messaging history, if you buy a new device, you'll still be able to access your older messages instead of starting a new messaging thread. While Messages in iCloud stores all of your photos and attachments and frees up local storage space on your device, that also means that it takes up more space on your iCloud account. This may not be favorable for people who don't pay for extra iCloud storage and stick with the free 5GB plan. Overall, the iOS 11.4 update brings much needed new features and brings the HomePod on parity with offerings from Amazon and Google. Unfortunately, outside of access to Calendar events, Siri is still the same although perhaps Apple will unveil updates to Siri in next week's WWDC 2018. The iOS 11.4 update is available now for download.